Salt Lake City USA – World Mosaic is assisting Literacy Planet’s entry to the US education market. Literacy Planet executives are attending the ASU GSV Summit the week commencing May 8 to identify partners and distributors. Well established in Australia, the UK and international schools across 18 countries, Literacy Planet has already secured pilot schools in the US, assisted by World Mosaic. Americanization of Literacy Planet is underway. Contact us if you would like to know more about this development. Plymouth England – World Mosaic subsidiary, mme moe Pty Ltd, implemented the mme moe teacher and leadership development application across all Reach South Multi-Academy Trust schools. World Mosaic and mme moe UK team members worked in Plymouth with Reach South executive, headteachers and teachers, establishing a refreshing model for professional growth across the community of schools. mme moe is now the professional growth platform at Reach South. Birmingham England – World Mosaic announced a strategic partnership with WMnet, the provider of the Internet services backbone to 2,500 schools across England’s West Midlands. Schools, LAs and Multi Academy Trusts (MATs) will now have access to elements of World Mosaic’s cloud-based portfolio for learning, teaching, administration and analytics. Read the announcement here. Sydney Australia – World Mosaic launched WOW! I’m a Computer Scientist. Available worldwide, WOW! goes beyond coding programs. WOW! is a holistic Computer Science learning experience that solves significant problems experienced in other programs – teacher support and making connections to real-world applications. WOW! is a curriculum-aligned, refreshing approach to Computer Science and its integraiton with the wider curriculum. Learn more. Chicago USA – Our Government Mosaic business unit is finalizing a major Computer Science curriculum alignment project for Chicago Public Schools, making Computer Science education more accessible to teachers and students. Read about our team. Austin Texas – World Mosaic met school districts and edtech industry representatives at the annual #TCEA conference. World Mosaic presented developments in Inspire, TeacherIn, mme moe, Yahki and BigBox, targeted at TEKS, T-TESS, substitute teacher management and STAAR. Read about our USA edtech product portfolio. Semey Kazakhstan – NIS high school implemented the Yahki digital learning environment to teach high school Science in the English and Kazak languages. Yahki, a subsidiary of World Mosaic, enables students to construct and ‘retell’ their scientific knowledge, producing outstanding results in Science at NIS. Perth Australia – World Mosaic’s subsidiary, mme moe, celebrates the export of its cloud-based coaching platform to school systems in the United States, creating unrivalled professional learning and mentoring networks for principals and teachers. Bangkok Thailand – World Mosaic celebrate the latest version release of the video storytelling wonder, Binumi. Binumi, a World Mosaic partner, enables students and teachers to painlessly produce video assignments to improve learning, engagement and visual literacy. London England – TeacherIn is an outstanding cover (substitute) teacher placement app and vetted marketplace that World Mosaic assisted into the UK in 2016. TeacherIn won the 2017 BETT Award for Innovation. Read more about TeacherIn. Sydney Australia – World Mosaic celebrates a decade of service to the education and technology sectors worldwide. Islip New York USA – World Mosaic was invited by NYIT to present a portfolio of education technology innovations to BOCES and district leaders gathered from around New York. Houston Texas USA – World Mosaic assisted CloudeNotes, a parent engagement and eCommerce app for school systems and households, gauge market needs across Texas Education Service Centers and districts. Denton and Chicago USA – School and district curriculum leaders in Dallas Texas and Chicago held Project Based Learning Inspire workshops with the World Mosaic team. Sessions focused on pedagogy transition strategies to deliver more authentic learning supported by technology. Muncie Indiana USA – World Mosaic team collaborates with Ball State University and Professor Garfield Foundation on a range of education and digital media initiatives based on student engagement through story telling. Melbourne Australia – World Mosaic professional learning app subsidiary, mme moe Pty Ltd, was selected as 2016 AIIA national mobile technology of the year finalist after winning the NSW Mobility Innovation of the Year #iAward in Sydney in June. Both events were wonderful opportunities to introduce mme moe to the wider corporate learning and development market. mme moe is yet to celebrate its first anniversary. Cornwall England – Mosaic provided UK logistics and market strategy support to Australian edtech client, ClassCover, leading to this month’s launch of TeacherIn across Cornwall schools and multi-academy trusts. TeacherIn app enables cover (substitute) teachers to secure supply teacher jobs by text and for schools to avoid the high cost of cover teacher agencies. Yangon Myanmar – World Mosaic refined interactive learning objects for Myanmar schools preparing for a major mobile learning program to enhance human rights, peace, leadership, communication and personal health education. World Mosaic’s BigBox learning objects place students in simulations to encourage discussion and inquiry on important life skills issues. Simultaneously, students reflect on their life skills development using the mme moe app. 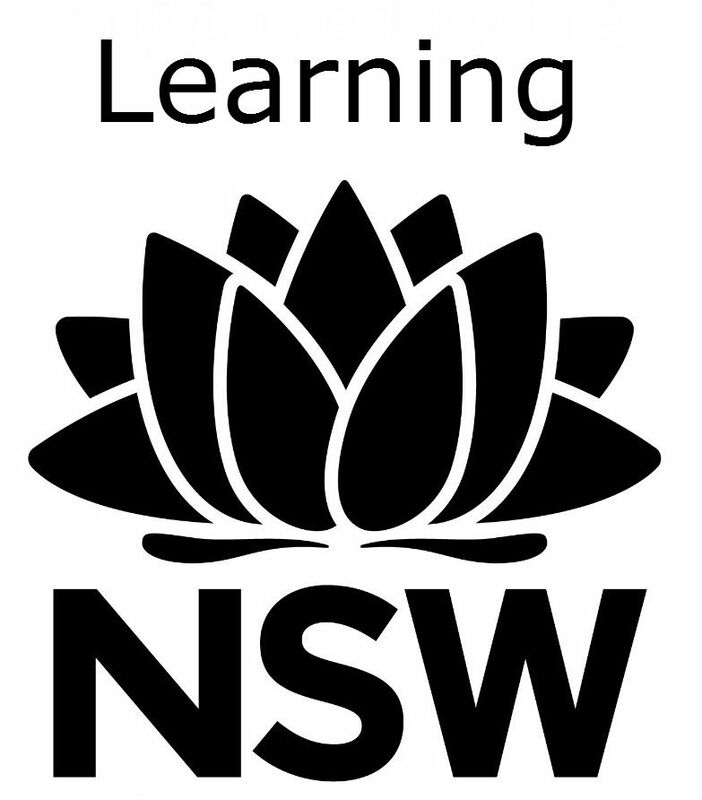 Sydney Australia – mme moe Pty Ltd, a World Mosaic company that offers schools and universities a powerful teacher coaching app, was endorsed by NSW Board of Studies, Teaching and Education Standards (BoSTES) as a provider of The Reflective Teacher course. NSW teachers can now secure 20 hours of Quality Teaching Council (QTC) PD recognition at the Proficient Teacher level. World Mosaic understands this to be the first time a PD app for teachers had been offered as part of a BoSTES endorsed course. More information about the course is available here. mme moe is now offering different versions of the course to school systems in the US and Europe. Cardiff Wales – World Mosaic subsidiary, mme moe, was invited to evaluate functional requirements for a visionary teacher professional learning ePortfolio in Wales. mme moe established a partnership with UK education leadership development provider, 2 Degrees Llc. Mosaic team members met with the 2 Degrees in Cardiff to evaluate the functional requirements for the national initiative. Dallas Texas – World Mosaic began working with Texas school and district leaders to review and implement “Inspire”, an integrated curriculum offered by World Mosaic. Inspire is a thematic, integrated curriculum for elementary and middle school students. Inspire enables school districts to make project-based learning and other contemporary pedagogies supported with technology more accessible, scalable and sustainable. Inspire is a comprehensive resource comprising 70 units, weekly overviews, lesson plans, resources and mapping to local curriculum standards. Inspire is so comprehensive, schools can adopt it in full or blend it with existing unit plans. Qingdao China – World Mosaic was invited to present at an International Forum for Partnerships on the Qingdao Declaration. ￼Mosaic presented a case study of Australian technologies developed to encourage 3D design thinking and project-based learning across schools. The Forum was organized by the Government of the People’s Republic of China, the Qingdao Municipal Government and the Shandong Provincial Government. The event sought to develop partnerships in the context of the Qingdao Declaration on education and technology. Gender equality in access to learning technologies was a major theme of the event. Sydney Australia – World Mosaic commenced market research and focus group testing to plan the introduction of a new paperless school communications platform to schools across EMEA and the Americas. Atlanta USA – World Mosaic attended #EdNet15 to meet with US education technology industry leaders and the investment community. Mosaic’s founder and Chairman, Mark Lamont, a member of the EdNet Advisory Board provided updates on its growing Software and Education as a Service portfolio to US industry stakeholders. Dubai UAE – The latest version of Yahki, Mosaic’s digital learning community investment, was released delivering a range of enhancements based on global user feedback. Teachers can now set up safe online student groups in seconds and review student work while in development. Dallas USA – mme moe, Mosaic’s teacher coaching app, was launched for schools and districts across Texas, aligned to the state’s new ‘T-TESS’ teacher standards. mme moe enables teachers to reflect on their practice against professional standards and develop a growth mindset. Albany, Dallas, and Washington DC USA – Mosaic’s operations expanded in New York and Texas as US school districts begin to adopt 3D design and multimedia learning innovations for students, and professional development tools for teachers. Shanghai China – World Mosaic appoints Paul Rahme to head the company’s China operations. Mosaic now collaborates with local and international school systems in Shanghai on education technology innovations. Boston USA – Mosaic expands its strategic partnership with Quick Key App, taking the mobile-based formative assessment scanning app for teachers to school systems, globally. 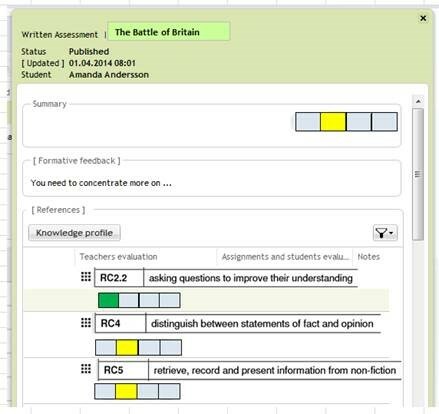 With Quick Key, students receive more frequent feedback on their learning while teachers get their life back! Hong Kong – World Mosaic founder, Mark Lamont, was appointed to Binumi’s Board of Advisors. Binumi combines student-friendly video editing tools and 2.6 million quality, factual video clips to enable a new generation of students to learn through video creation and story-telling. Brisbane Australia – Mosaic attended EduTECH, the southern hemisphere’s largest education technology conference, meeting partners, clients, and industry and education connections from across Australia and beyond. Highlights were two new entries – an amazing student video mashup tools for authentic learning and a new package of design software and learning strategies that gives ‘curriculum purpose’ to 3D printing. Dubai UAE – World Mosaic celebrated significant milestones with its Yahki investment. Yahki, a social learning community supported by a curation and mashup toolset, is now generating strong returns as an exciting set of enhancements are in development. Yahki was recently adopted across an entire US school district of 14,500 students and simultaneously launched across Scandinavia though its Nordic partner, IST. We look forward to more exciting Yahki news throughout 2015. Perth Australia – Mosaic’s teacher coaching app investment, mme moe, also reached a significant milestone this month receiving orders and requests from Australian and international education institutions. mme moe has taken the significant step from prototype to production. The application places teachers in a growth mindset, enabling them to reflect on their professional practice day-to-day with simple touch gestures. mme moe aligns teaching gains to elevated professional standards and removes barriers associated with traditional teacher development models . Contact us for more details. Boston USA – Mosaic received very positive feedback from #edtech and education leaders in Singapore, Boston and London about the new Quick Key App which saves teachers time as they assess students in smaller, more regular chunks to boost achievement. Quick Key is a powerful formative assessment tool to place in the hand of every teacher, worldwide. Atlanta USA – Mosaic presented and won the IMS Global Platinum Award for the peak Australian Government education technology body, Education Services Australia (ESA). ESA is a ministerial enterprise of the Federal and State Australian Governments. IMS Global, a leading eLearning standards and innovation body, recognised ESA for the launch of Language Learning Space, a strategic, immersive online Asian language environment for Australian school children. See the #LILI15 IMS Global press release. Sydney Australia – Mosaic commenced software specification development for an Australian Government education agency and convened high-level meetings with State Government technology leaders to investigate enhanced information governance, supported by Active Navigation CEO, Peter Baumann, and Asia-Pacific VP, Mike Cawsey. San Antonio USA – Mosaic visited and supported schools across Schertz-Cibolo-Universal City Independent School District (SCUC), a district of over 14,500 students, as they implemented the Yahki social learning platform. SCUC used Yahki to create excellent 8th Grade American History learning resources, supporting students and teachers in the lead-up to SAT assessments. Yahki, a 21st Century learning community and toolset, is a subsidiary of World Mosaic. Atlanta USA – Mosaic was represented by Mark Lamont at CoSN’s Annual Conference (#CoSN2015). Mr. Lamont presented “The Leap from Print to Digital”, looking more deeply at what schools and industry are really leaping into, and what they no longer need to take with them. Paris France – Mosaic’s founder, Mark Lamont, presented at Mobile Learning Week. Mr. Lamont was accompanied by high school students from Australia, Kenya and France who spoke of their experiences of empowerment as young women using mobile devices for learning. Here is the full transcript and visual narrative of the presentation. Year 4 students in a ‘BYOD’ school in Singapore, team up to analyse and report materials properties. Singapore – Mosaic’s founder, Mark Lamont, was invited by #CoSN, the United States’ peak education technology advocacy body, to join a Senior Delegation of education leaders in a week of meetings in Singapore with Ministry of Education, IDA, NIE, Microsoft and local and international schools. Findings and reflections from the week of meetings are available as blogs and Yahki mashups. London UK – Mosaic assists European information and learning platform powerhouse, IST, prepare to launch its hypernet platform at the world’s largest education technology expo, ‘BETT’ in London. After a year of Proof of Concept and Pilot activities with UK schools, hypernet will be promoted to schools, academies and Local Authorities, with announcements anticipated in relation to a number of national UK procurement frameworks. Paris France – Following Mosaic’s presentation last year on learning analytics, backward design and mobile technology, An international agency invited Mosaic to present in Paris again in February 2015 on the empowerment of women and girls through mobile learning technologies. Mosaic is liaising with partner schools, education leaders and student representatives in preparation for this significant event, called Mobile Learning Week. Sydney Australia – Data Slum investigation and remediation: Mosaic has facilitated the start of Active Navigation’s Proof of Concept activities with Australian schools and stakeholders. Data Governance is a 21st Century problem for education as Redundant, Obsolete and Trivial (ROT) content is expanding rapidly, introducing unnecessary risk and additional cost across the national education data estate. Initial findings from Active Navigation’s scan of unstructured data are significant and have generated the impetus for investigate further with a wider site sample in 2015. See the preliminary findings and details of Active Navigation’s education data slum remediation technology. London UK – BT announces its new cloud education service in the UK, featuring Yahki and paving the way for new information and learning system capabilities for UK schools. This initiative has been supported by Mosaic, in the making for the past two years. UK schools now have an option to move from a reliance on local software and computers, moving to more accessible, functional and integrates ‘cloud’ user experience. Dubai UAE – Mosaic affiliate, Yahki, completed its migration to Amazon Web Services (AWS), simultaneously elevating Yahki’s conformance to international integration standards such as Shibboleth (UK), SAML2 and REST. The upgrade is timely for Yahki as it is gearing up for enterprise releases in Europe and the US. Campus account provisioning and the user sign-on process will be simplified as a result of the enhancements. Baltimore USA – Mosaic develops new US strategic partnerships at the #EdNET Conference, identifying opportunities in education gamification, adaptive learning, mobile assessment tools and professional development resources. Pune India – Mosaic introduces OneCard to MENA (Middle East, North Africa) universities and colleges. OneCard enables campus transaction, asset management and student safety by combining GPS and RFID technology to take ‘student cards’ to a new level. Mosaic is collaborating with Synthesys Systems and MENA partners. Dubai UAE – The latest version of Yahki was released in time for many schools and colleges starting their academic year. Check out the new Yahki features here and discover how much Yahki has grown. Yahki, a social learning platform and community, is a significant Mosaic investment. Baltimore USA – Mosaic prepares for meetings with #edtech companies, investors, researchers and education leaders at the #EdNet14 Conference in Baltimore later this month. Mosaic will be promoting its top shelf global market research and entry services, investment and strategy advisory, offshore operations, outsourcing, marketing and product development capabilities. We will also be actively promoting our current clients and investments, including IST, BrainPOP, Yahki, Active Navigation, Inspire Curriculum (Cornwall Local Authority), Synthesys (GPS/RFID) and mme moe (Teacher coaching app). Cornwall England – World Mosaic secures agreement with UK Local Government Authority, Cornwall Learning, to launches Inspire Curriculum to hundreds of international primary schools across the globe. Inspire Curriculum provides thematic units for Years 1 to 6 with a focus on global perspectives and student inquiry. ‘Inspire’ was developed from the ground up for the new UK National Curriculum. #NISDPalooza14 #edtech Conference for teachers, administrators, technology and digital media staff. View a mashup of the session discussion and sharing that took place. Växjö Sweden – Mosaic’s founder, Mark Lamont, met IST AB’s founder, leadership team and staff at their Vaxjo headquarters. Mosaic is assisting IST’s global strategy, especially in the UK. UK schools are now engaged in Proof of Concept trials of IST’s world-leading hypernet school information system and ‘Learn’ environment. Watch this space for further updates. London England – Mosaic establishes its European Union subsidiary, Euro Mosaic, based in London. Euro Mosaic was established in response to Mosaic’s growth in the region. Find out more here. Melbourne Australia – Mosaic introduces Active Navigation to Australian education authorities in the government and private sectors. The month featured a high-level Data Governance seminar in Melbourne attended by industry and government CIOs. Active Navigation addresses the growing issue of ROT (Redundant, Obsolete and Trivial) data that generates ‘data slums’, introducing unnecessary storage costs and business risks in education and beyond. Ipswich England – Yahki is launched at e2bn’s annual conference as a core part of the UK Seren Cloud Education offering. Presentations were given by Cardiff schools who have been among the first in the UK to discover Yahki education channel. San Francisco USA – World Mosaic attends Cisco Live, one of the world’s largest technology conferences. Mosaic supports US clients in their development of learning apps based around Google Glass and Experience API, developing business opportunities through Cisco’s partner ecosystem. Perth Australia – World Mosaic partner, Drive Learning, launches the Mme Moe Website and prototype App. Mme Moe is a coaching app, initially for teachers, based on the habits of highly effective people. Cornwall England – Mosaic’s UK team works with local school academies and IST (www.IST.com), a leading European education software company, to trial a new cloud-based Information Management (MIS) and learning environment. Market assessment and local partner strategy development with BT (www.BT.com) continue in parallel throughout Spring. Pune India – Mosaic meets a leading Middle East education technology distributor regarding new integrated RFID and GPS technologies developed by Pune India based Synthesys Pvt. Ltd. which enable school stakeholders to track books, devices, assets, and even students for a range of security, safety and logistics benefits. Cardiff Wales – World Mosaic subsidiary, Yahki, supports a Cardiff initiative for Year 7 History students conducting research into the impact of World War 1 on the local community. Student collected, reflected upon and shared historical sources online for the first time, developing their digital literacy. Nottingham UK – NAACE Conference. Yahki, a social learning initiative of World Mosaic, was showcased at the #NAACE14 Conference in Nottingham, England this month. Yahki is a highlight of the Seren cloud education service to Welsh schools and colleges. World Mosaic attends Cisco Live, one of the world’s largest technology conferences. Mosaic supports US clients in their development of learning apps based around Google Glass and Experience API, developing business opportunities through Cisco’s partner ecosystem. Las Vegas USA – Mosaic participated in high-level meetings with Cisco executives and partners at the 2014 Cisco Global Learning Partners Summit. Key topics included business transformation, outcomes-based service agreements, Cloud services, learning analytics, social learning, knowledge management and new learning platform architectures. Mosaic’s founder, Mark Lamont attended the Cisco Innovation Award ceremony. Washington DC USA – Mosaic sponsored the #CoSN14 Dinner (www.CoSN.org) to raise funds for advocacy to improve US school student access to technology. View a Yahki overview of key topics and issues discussed at the #CoSN14 event. Paris France – World Mosaic presented at Mobile Learning Week (MLW) 2014 in Paris, a annual conference on mobile technologies and learning. Mosaic founder, Mark Lamont presented at the event on Mosaic’s involvement in mobile learning initiatives in the US, Africa, UK, Middle East and Australia. Backward design mobile learning pedagogy, teacher assistant apps, and learning analytics enabled through recent developments in xAPI and the Learning Records Store (LRS) were discussed along with other Mosaic initiatives, Yahki and Mme Moe. Read the transcript and view the visual narrative of the presentation here. Nairobi Kenya – Mosaic’s Kenya team and Australian founder, Mark Lamont, met Nairobi Education Ministry officials and local primary schools as Cloud-based information systems and Yahki collaborative learning projects commenced. The projects coincide with improvements to school Internet connectivity and laptop access. Mosaic partners, IST and Yahki were announced as preferred providers for the BT service. Under the BT offering, IST will deliver hypernet MIS (School Information System) and Learning Platform. The Yahki social learning environment will also be integrated along with Microsoft 365 and Google applications. The combined offering was on display at the BT Vehicle for Change at Stand B50. Sir Bob Geldof (pictured), participated in the BT launch. Perth Australia – World Mosaic launches a strategic venture with Paul Williams, founder of KIDMAP and more recently, Drive Learning. This new initiative will deliver Mme-Moe (Maximising My Effectiveness, Maximising Our Effectiveness), a powerful teacher and faculty development tool (pictured). Prototype development and market assessments are underway. For investor, licensing or distribution inquiries, contact us. Houston Texas – Training and implementation planning sessions commenced to establish Yahki in Texas schools. Yahki was evaluated and chosen for its ability to engage students in authentic 21st Century social learning. Contact us to find out how your school or district can benefit from Yahki in 2014. Washington DC – World Mosaic undertook additional eLearning research in the areas of Experience API (xAPI), LRS (Learning Record Store) and mobile User Interfaces, assessing their applicability for a range of K-12 and Higher Education use cases. Mosaic investigated the ADL project which developed xAPI and the earlier SCORM eLearning standard. San Diego California – World Mosaic commences global market development for Bridgepoint Education’s (NYSE: BPI) THUZE eBook collection and reading platform. Mosaic is now pleased to offer THUZE to colleges, universities and academic libraries across the globe. THUZE is a proven eContent solution that costs significantly less than traditional text books, yet offers far more. THUZE includes over 100 peer-reviewed texts as well as a cross-platform delivery solution to enhance the learner experience. THUZE is timely as eTextbook utilisation has grown 300% over the past 3 years. Contact us about THUZE. Cardiff Wales – World Mosaic launches Yahki across a Cardiff school federation (district). Yahki is now a key part of the federation’s shift to cloud technologies and contemporary pedagogies that place students at the centre of the learning process. Sydney Australia – Social media developments at World Mosaic. World Mosaic launched its Facebook Page and Twitter Profile (@WMosaic) and first tweets. Mosaic’s Yahki Facebook page exceeded 7,000 follower this month. Dubai UAE – The new Yahki release supports iPad users. Schools join Yahki education channel from the US, Egypt, UK, Jordan and UAE. London and Bristol UK cloud platform trends in education.The Blue Sky tour continued in London and Bristol, meeting with leaders in cloud education platform and broadband offerings, e-Safety, eContent, and higher education innovation. Blue Sky meetings at Copenhagen Business School, exploring developments in learner analytics. Significant meetings in Sweden regarding the internationalisation of cloud learning, administration and analytics platforms. Meetings in Paris with national political and Telco leaders regarding education innovation. Meetings with large school consortia leaders, University and School Directors and leaders in education performance improvement. Significant findings related to faculty development and the internationalisation of education. World Mosaic launches Yahki (www.yahki.com) as an integrated social network and safe learning offering, available to schools and campuses worldwide. Yahki is a Joint Venture of World Mosaic and TayaIT (www.tayait.com). The Yahki education launch is just in time for the start of the new school year in the US, UK, Europe and Middle East. Find out more. international market research study for NYSE education giant. In coming months, Mosaic will be conducting industry and government focus groups across the USA, EMEA and Australasia. Boston USA – Presentations and workshops planned for the annual November Learning BLC Conference. Read more. Sydney Australia – Government Mosaic presents significant learner analytics research findings to NSW TAFE VLE Showcase conference. View the presentation stream. Plymouth UK – Yahki, a World Mosaic subsidiary, held a cloud learning workshop with the SWGfL (South West Grid for Learning) Teacher Network. View the presentation stream. Putting old wine into new Common Core skins?